If you've been reading us for a while, you may recall us mentioning Johan Bernhardsson - who previously worked for Mojang on Minecraft Pocket Edition. He singlehandedly developed Pocket Edition for over a year, and in his last days at Mojang, helped create the new Mac launcher for Minecraft. After he left Mojang, he helped found Midnight Hub - an indie game studio also located in Sweden. 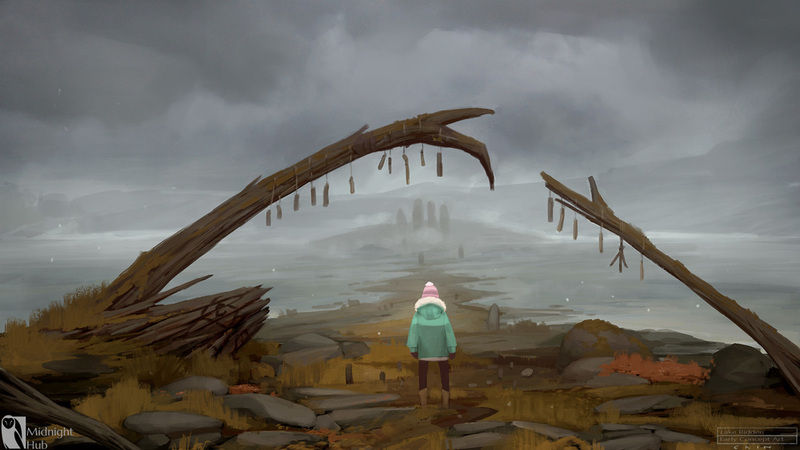 He and several other developers are currently developing a game called Lake Ridden - a "story driven first-person horror game, set against a Scandinavian backdrop." When a girl is on a hike with her friends, her sister suddenly vanishes. While searching for her, she encounters an old, abandoned house. To survive, and ultimately save her sister, she must piece together the dark secret of the nearby town by finding clues, solving puzzles and interacting with former residents. But there are shadows out in the darkness. She’ll have to uncover an old conflict driven by envy, madness and hate. Head on down to their development blog in the source link below for more information about the game's development. Midnight Hub aims to release Lake Ridden on PC in 2017.